The 14-member committee's investigation is one of three launched after the dissemination, in November, of e-mails and data stolen from the research unit. The e-mails appeared to show scientists berating skeptics in sometimes intensely personal attacks, discussing ways to shield their data from public records laws, and discussing ways to keep skeptics' research out of peer-reviewed journals. One that attracted particular media attention was Jones' reference to a "trick" that could be used to "hide the decline" of temperatures. The e-mails' publication ahead of the Copenhagen climate change summit sparked an online furor, with skeptics of man-made climate change calling the e-mails' publication "Climategate" and claiming them as proof that the science behind global warming had been exaggerated or even made up altogether. The lawmakers said they decided to investigate due to "the serious implications for U.K. science." Phil Willis, the committee's chairman, said of the e-mails that "there's no denying that some of them were pretty appalling." But the committee found no evidence of anything beyond "a blunt refusal to share data," adding that the idea that Jones was part of a conspiracy to hide evidence that weakened the case for global warming was clearly wrong. 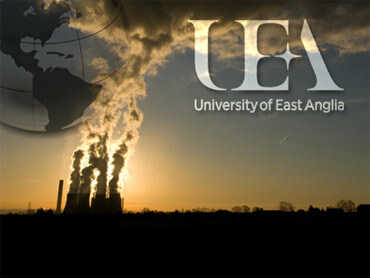 In a briefing to journalists ahead of the report's release, Willis said the controversy would ultimately help buttress the case for global warming by forcing the University East Anglia and other research institutions to stop hoarding their data. "The winner in the end will be climate science itself," he said. The winner on Wednesday was Jones, who stepped down temporarily as chief of the climate research unit about week after the e-mail scandal broke. The committee expressed sympathy with Jones, whom Willis said had been made a scapegoat for larger problems within the climate science community. "The focus on Professor Jones and the CRU has been largely misplaced," the report said. Lawmakers stressed that their report which was written after only a single day of oral testimony did not cover all the issues and would not be as in-depth as the two other inquiries into the e-mail scandal that are still spending. Willis said the lawmakers had been in a rush to publish something before Britain's next national election, which is widely expected in just over a month's time. One of the two pending inquiries is being headed by former civil servant Muir Russell, who is looking into whether scientists, including Jones, fudged data or manipulated the peer review process. It also is examining the extent to which university followed applicable freedom of information laws. That report is due to report sometime this spring. Geologist Ernest Oxburgh is leading a parallel investigation into the integrity of the science itself, one staffed by academics including Kerry Emanuel, a professor of meteorology at the Massachusetts Institute of Technology, and Huw Davies, a former president of the International Association of Meteorology & Atmospheric Science. The committee said that climate scientists had to be much more open in future for example by publishing all their data, including raw data and the software programs used to interpret them, to the Internet. Willis said there was far too much money at stake not to be completely transparent. "Governments across the world are spending trillions of pounds, or trillions of dollars, on mitigating climate change. The science has got to be irreproachable," he said.